Grew Up… on the other side of town. Ponyboy is coming of age in Tulsa, Oklahoma, in the mid 1960’s. The area he lives in is heavily stratified by class and tensions between his gang, the Greasers, and their rivals, the Socs (short for “Socials”), run high. Living… with his older brothers Darrel and Sodapop. Both of Ponyboy’s parents are deceased and Darrel, the oldest, is trying his best to keep the brothers under the same roof. To this end, Darrel often threatens Ponyboy with the prospect of the boys’ home if he ever gets out of line. Though Darrel deep-down knows Pony is a good kid, Pony thinks his brother-turned-parent hates him. But it’s more that Darrel has a huge amount on his plate. Profession… high school student. He enjoys reading and displays promise in the classroom. Darrel and Sodapop only hope that Ponyboy stays in school. Relationship Status… smitten with Cherry, a cheerleader and Soc from his high school, after running into her at the movies. He’d like to talk to her, but, being a Greaser, there are rules about who he can associate with. Just being seen with her could cause problems for both of them. Challenge… surviving and making it out of the world he’s in. His challenge is to find a way forward, while holding close to his dearest friends (especially Johnny) and brothers. He knows he needs to stay in school. 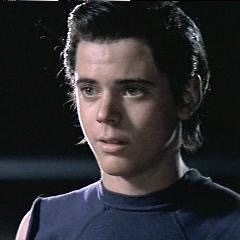 For Ponyboy to thrive he must find a way to keep his head up and his soul intact. And it probably wouldn’t hurt to get the heck out of Tulsa. Personality… thoughtful and kind, though angsty. He cares a great deal about his friends. After his best friend Johnny is forced to kill a Soc in self-defense, Ponyboy joins him on the run from the law. There the two of them aim to “stay gold,” in defiance of the Robert Frost poem. 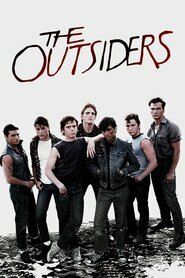 But that won’t be easy the way their world seems to be stacked against Ponyboy, Johnny, and their fellow Greasers. Ponyboy Curtis's popularity ranking on CharacTour is #249 out of 5,000+ characters. See our top-ranked characters and read their profiles.